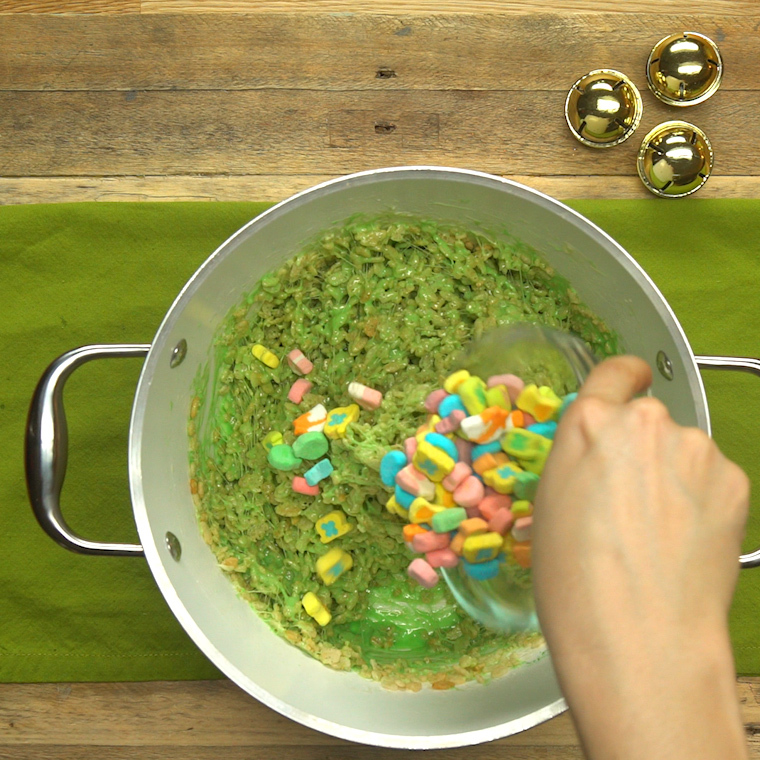 How do you celebrate St. Patrick’s Day? 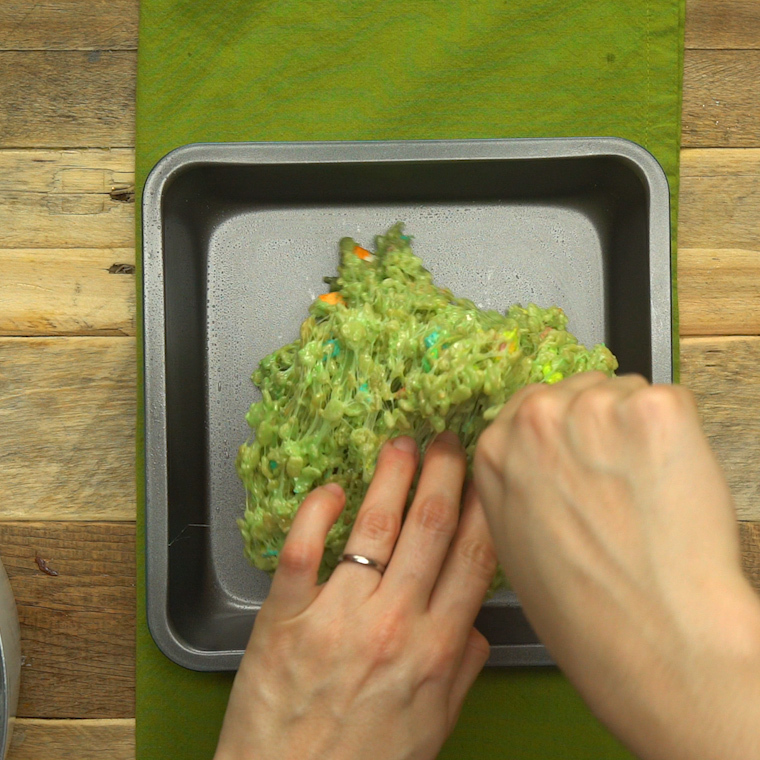 From eating green food, to going to the bar for a green beer, there are lots of ways to celebrate the one day of the year that everyone is Irish. 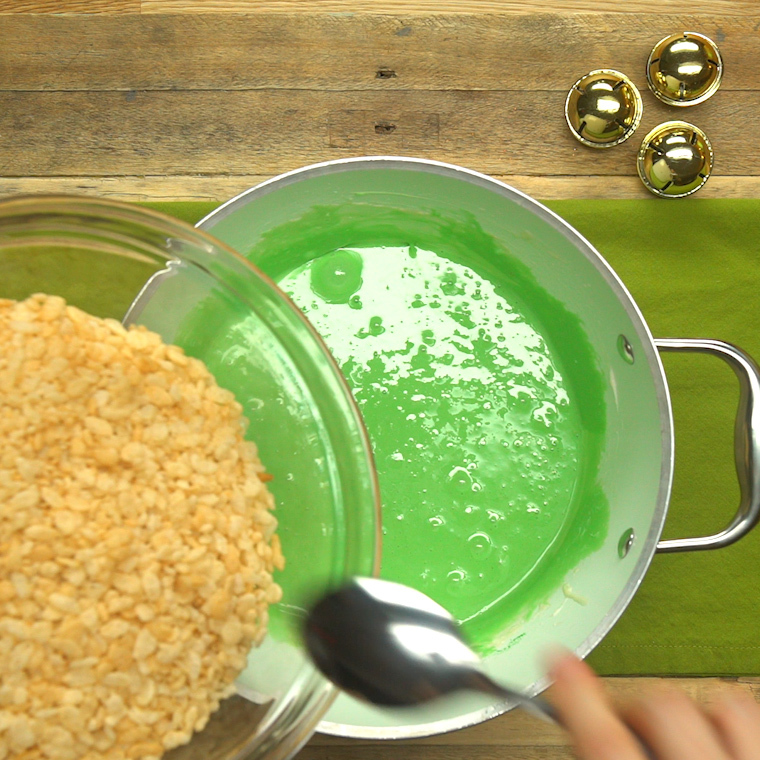 Try making this family favorite with a St. Patty’s Day spin with this recipe. 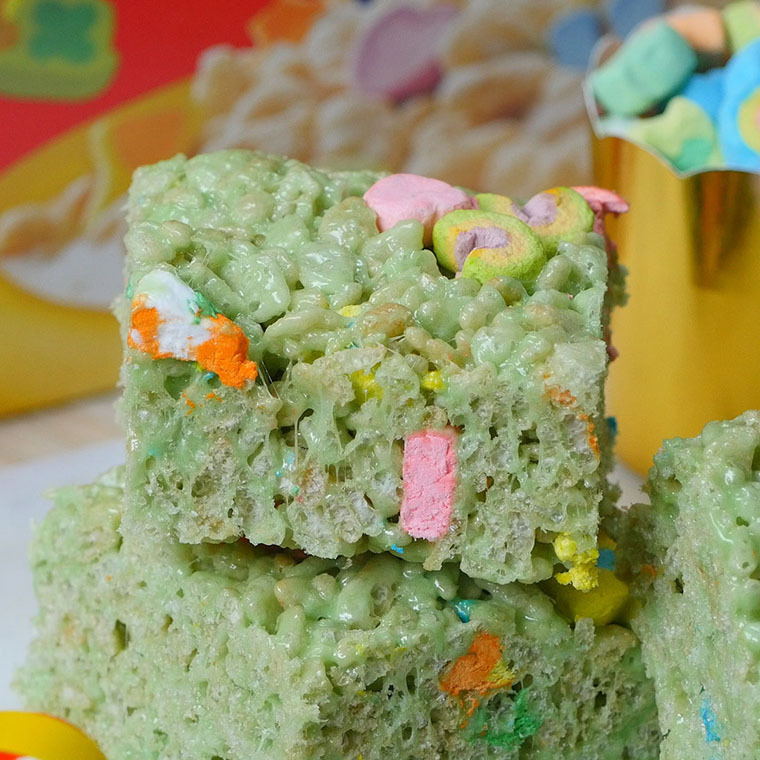 You can even make these St. Patrick’s Day Lucky Charms Rice Krispie Treats with your kids this March Break. 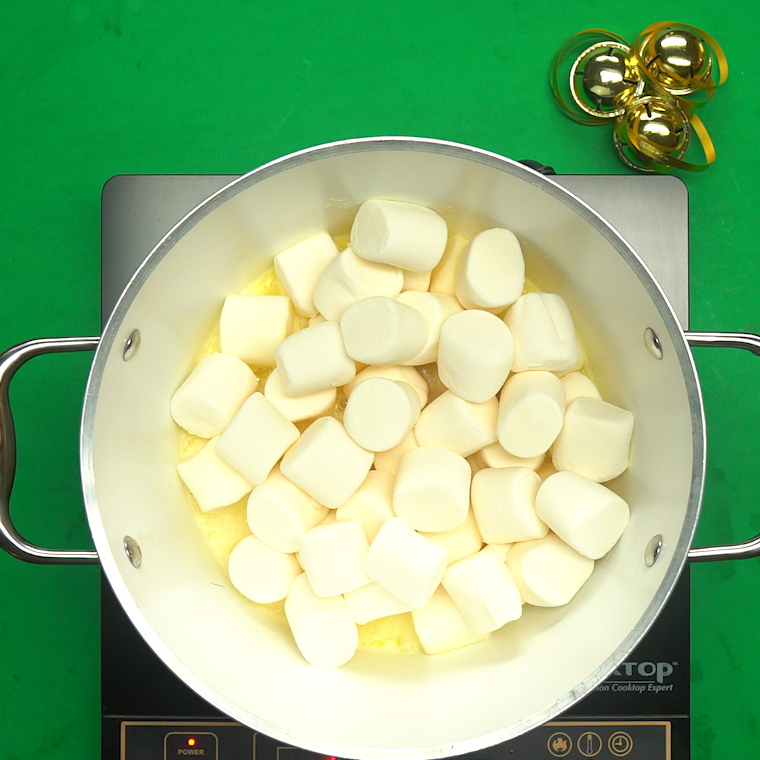 Slowly add marshmallows stirring often to avoid burning. 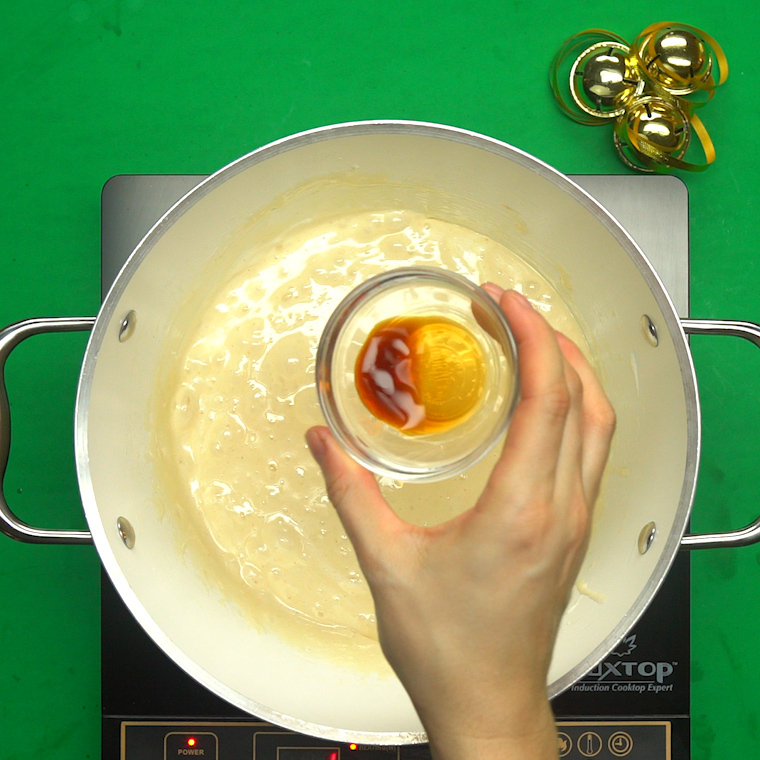 When the mixture is completely melted add vanilla. 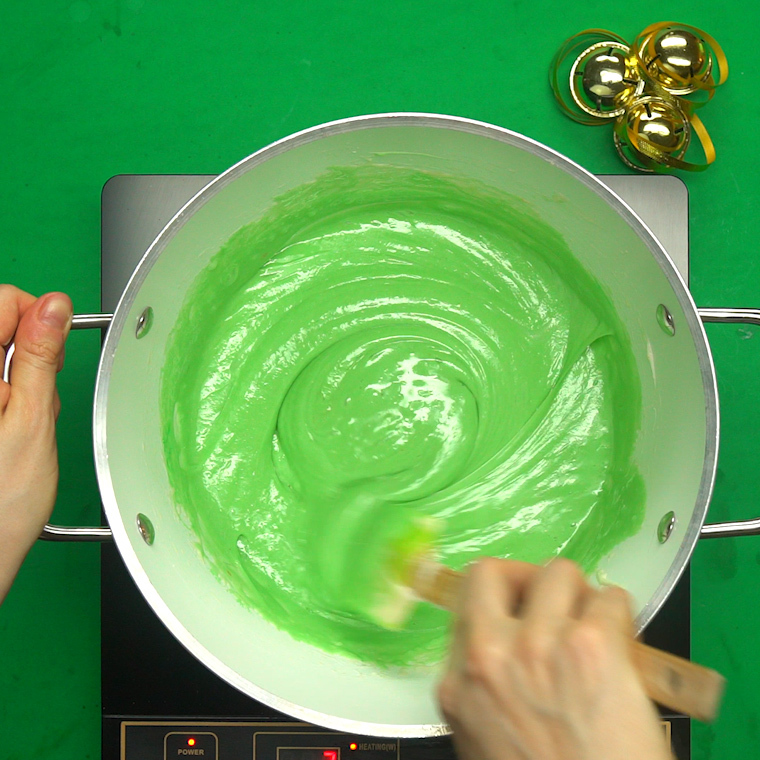 Add drops of food coloring until you get the vibrant green you’re looking for. 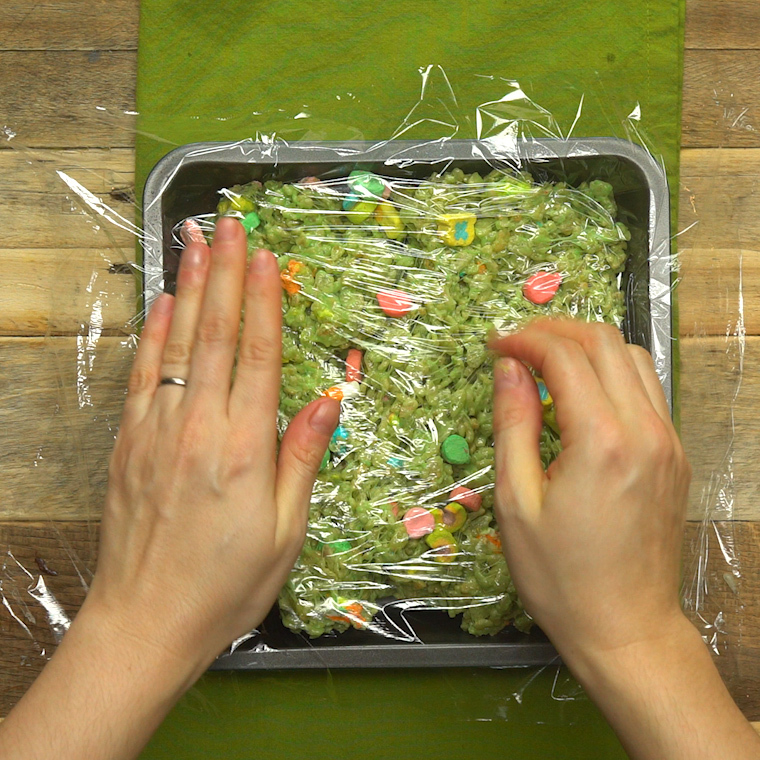 Remove from heat and gradually add Rice Krispie cereal. 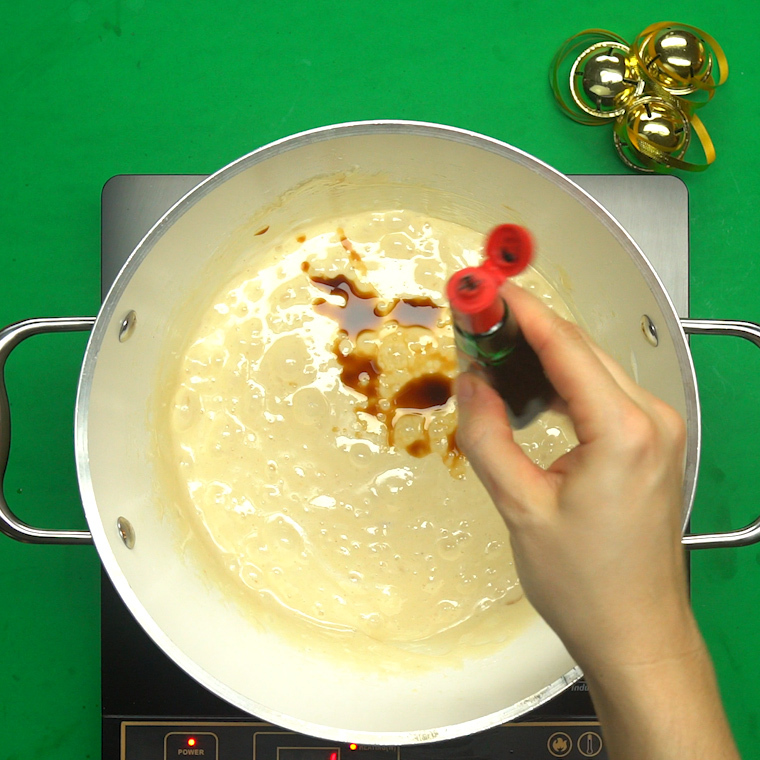 Once mixture is combined, stir in Lucky Charm’s marshmallows. 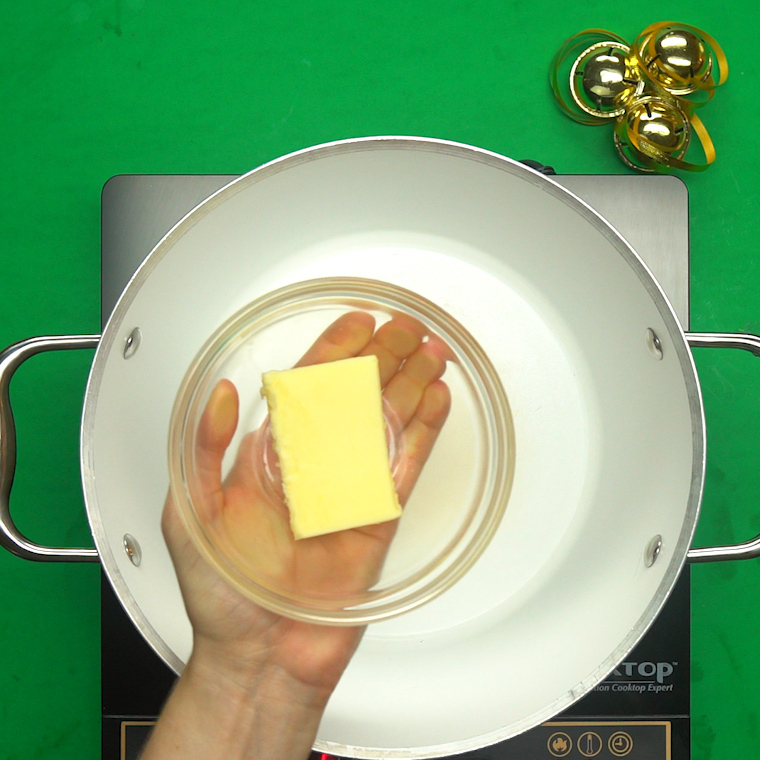 Transfer into a greased baking pan, cover and let sit.